Individual and small group training and consultation services are offered for sequence analysis, real-time PCR, next-generation sequencing and microarray analysis. The GCF laboratory services are available to any researcher. The goal of the GCF is to provide high quality service at low cost to facilitate research. Use of the Genomics Core Facility services are scheduled on a first come, first serve basis. The wait time for instrument use is rarely more than one day and is frequently shorter. The core laboratory is approximately 900 square feet. 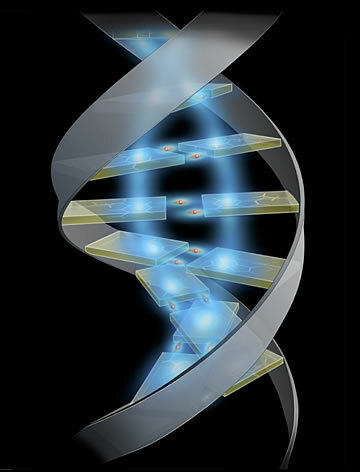 Two ancillary laboratories of approximately 168 square feet each house microarray hybridization, RNA and DNA library preparation, and next-generation sequencing. Laboratories are supplied with emergency power with dedicated circuits for instrumentation as well as ultrapure water, gas, air, and vacuum supplies. Applied Biosystems 3130XL: Two sixteen capillary genetic analyzers that are used to perform DNA sequencing and fragment analysis. They will accommodate 96 well and 384 well format sample plates. Applied Biosystems 7900HT: Four Sequence Detection Systems equipped with 96 well, 384 well, and low density array blocks are available for quantitative PCR. Qiagen Qiacube: This robot will process up to twelve samples using Qiagen Spin column kits for sample isolation and purification. For large DNA extraction and purification projects, a Qiagen AutoPure robot is used. Agilent 2100 Bioanalyzer: Two instruments are used for protein, DNA, and RNA analysis and quantitation. NanoDrop Spectrophotometer: This instrument is used for RNA and DNA quantification. Qubit Fluorometer: This instrument is used for RNA and DNA quantification. Seahorse Bioscience XF-24 analyzer: This instrument is capable of measuring the rate of change of analytes (currently dissolved oxygen and pH) in the media surrounding living cells. Three computer workstations are available for sequence analysis and alignment, PCR primer design, and RT-PCR data analysis. Illumina MiSeq and NextSeq 500: Next Generation Sequencers to address Metagenomics, Gene Expresion, ChIP-Seq, RNA-Seq, Small RNA Sequencing Assays. Many other applications supported as well. Illumina iSCAN Microarray Scanner for microarrays services. Labelling, hybridization, scanning and analysis for Illumina available arrays. Eppendorf EPMotion 5075TMX and Perkin Elmer MultiProbe II: Two pipetting robots are available for robotic liquid handling. These instruments facilitate high-throughput pipetting of 384 well format plates and library construction for NGS. They can be programmed for large pipetting projects.